As you know, I think LinkedIn is such an important part of any job search. Whether you are using it to research or follow companies, connect with people you know (and don’t), join groups, or just keep a solid professional profile, it will be a huge asset for you. However, you’re probably not going to want all of this activity going public, especially if you are currently employed. Many people don’t know this, but by default most of the activities you do on LinkedIn go straight into an activity feed. Things that could show up in someone else’s activity feed include: updates to your profile, new companies you are following, showing connections you’ve recently made, and more. If you’re in college and looking for your first job it’s probably not really a secret, so having any of those activities pop up in someone else’s feed is probably no big deal. But for someone who has a job, it’s not ideal. Since many of us are connected to our colleagues and bosses at work through LinkedIn, these are probably not updates we want our network seeing. While profile updates, following companies, and new connections can’t prove that you’re looking for a job, it can definitely suggest that. You’re going to want to uncheck “Let people know when you change your profile, make recommendations, or follow companies”. Changing this setting will take a lot of activities out of the feed but not everything. If you don’t want your network to see when you add a connection you need to pop over into “select who can see your connections” and adjust that setting. 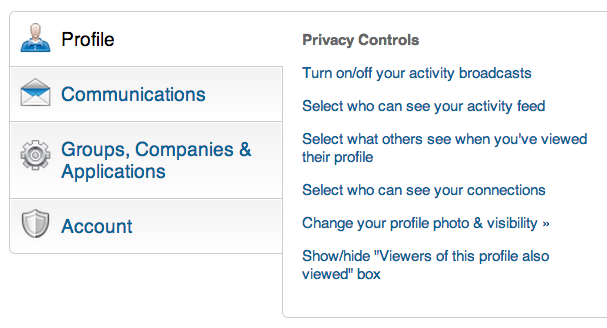 One additional step worth taking is going to the “select who can view your activity feed” section and changing the setting to “only you”. 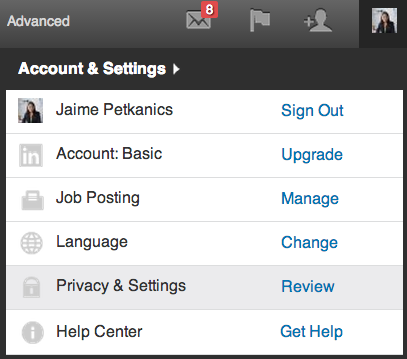 For more tips on privately looking for a job as it relates to LinkedIn, take a look at this very helpful FAQ page. What other precautions do you take while you’re job searching in secret? Leave a comment!